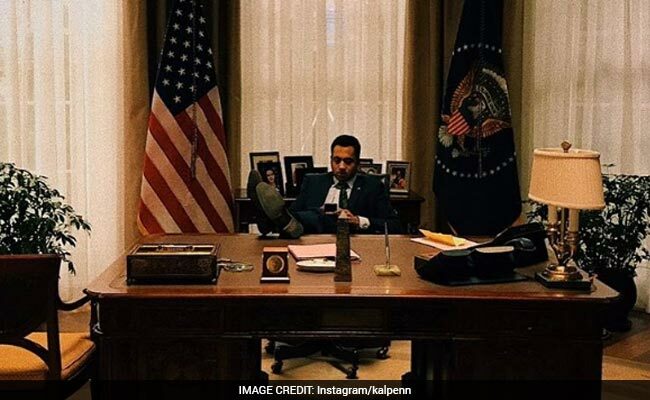 New Delhi: Indian-American actor Kal Penn's latest tweet is earning him lots of laughs online, and confusing plenty of his followers. The actor took to Twitter on Thursday to take a dig at American Vice President Mike Pence, but with an unexpected Bollywood twist. "Mike Pence reminds me of Kantaben from Kal Ho Na Ho," he tweeted The Nikhil Advani-directed Bollywood film stars Shah Rukh Khan, Saif Ali Khan and Preity Zinta. The character of Kantaben is played by Sulbha Arya. Kantaben is central to a running gag in the movie that has her reacting strongly to the prospect of Shah Rukh Khan and Saif Ali Khan's characters being gay. Mr Pence is notorious for his anti-LGBT stance. Mike Pence reminds me of Kantaben from "Kal Ho Na Ho"
The actor's tweet has been liked over 3,500 times and retweeted at least 1,700 times and is provoking hilarious reactions online. @nikkhiladvani@karanjohar hahahaha thanks. Big fan, guys! @kalpenn@moomeep Screams KaaaaantaBen in almost Dolby sound and shakes his head vigorously. @kalpenn I couldn't stop laughing after reading tweet but it would be bouncer for most of Americans. @kalpenn I'm sure a billion people get this reference... I do not. @kalpenn I don't know what that is, but if it resembles a comic book villain, yes. Mr Pence has controversially stated he believes being gay is a "choice" and has previously supported "conversion therapy," a procedure that has been called out by scientists as having no basis in medical fact. @kalpenn I think you just offended Kantaben ! !